Just a post to wrap up the end of the year. I don’t put to many updates on here anymore since the site for the most part just runs its self. I do pop in once or twice a month to clear out the spam comments and upload some new pictures that have shown up on craigslist or ebay. I have a 59 C-75 and I am looking for a few parts. Hoping you might be able to help guide me in the right direction. If you can please email me or give me a call at 972-207-7793. October 4, 2011. I’m just beginning the mechanical resto of my ’57 C-80. I’d like to post some pics of the process. Am I able to do this? Not at the right now, but I’m working on it. At the moment I have everything kind of tore up trying to get a decent forum up and running here so you can post things like your resto progress. The old theme was really jacked up code wise so that will need to be redone anyways. I’ll let ya know when everything is up and working. Site’s lookin’ tidy! Good work! 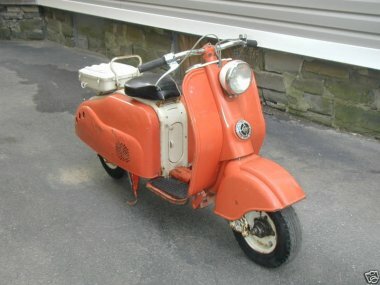 Scoot.net - Mostly centered around Vespas, but a great site to look around on if you like scooters. Forums up, and a new look! mike fullenkamp in Sites back! doubleH in Forums up, and a new look! Dennis White in Sites back! dirty old scoot in Forums up, and a new look!